It is recommended to maintain a flat base by keeping your weight even while standing on your bike. This allows for more range of motion to move the bike underneath you, enhancing your control. When you are on the trail, look ahead at the next feature and not what’s underneath you. 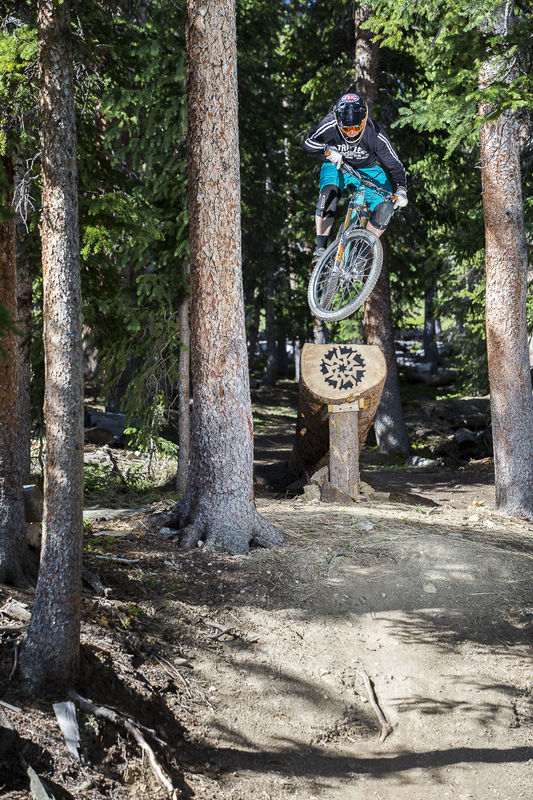 This helps you anticipate what’s next and helps guide your bike for the next terrain obstacle. Your brain has already processed what’s underneath you, so it helps to focus on where you want to go and choosing the line that you want to take. Keep in mind to always have one finger on the break, allowing the other three fingers to keep a good grip on the handles. Since even the most basic disc brakes offer appropriate stopping power, breaking with only one finger is just as quick and efficient as two-finger breaking. You can choose to either break with your forefinger or middle finger, allowing the other three fingers to maintain a safe grip on the handles for better control. Time to put these tips to the test! 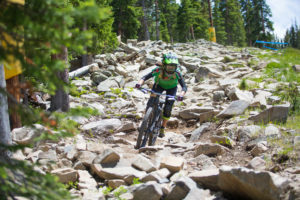 Cruise on over to Keystone’s Bike Park for a day of exciting mountain biking action. 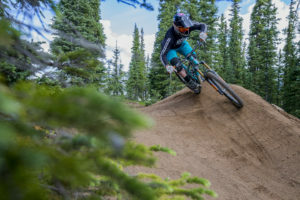 Everything from greens to blues to blacks, there is something for riders of all mountain biking abilities. New to the sport or looking to take your riding to the next level? 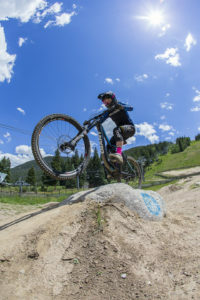 Get on the right track by signing up for a lesson lead by one of our IMBA certified Bike Academy instructors!